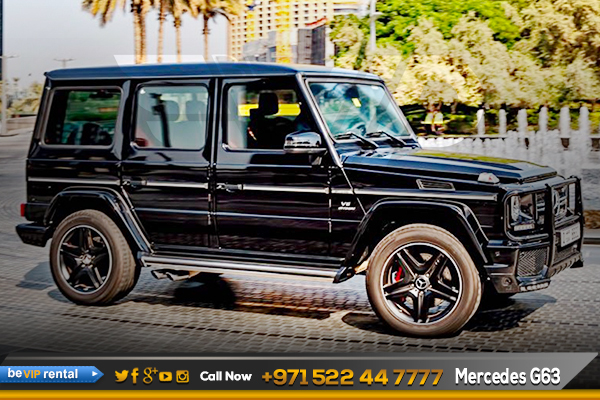 Mercedes G63 vehicles luxury car available for rent from Be VIP Rent a Car in Dubai are known worldwide for their extremely high standard of luxury that is found in each and every model they sell. 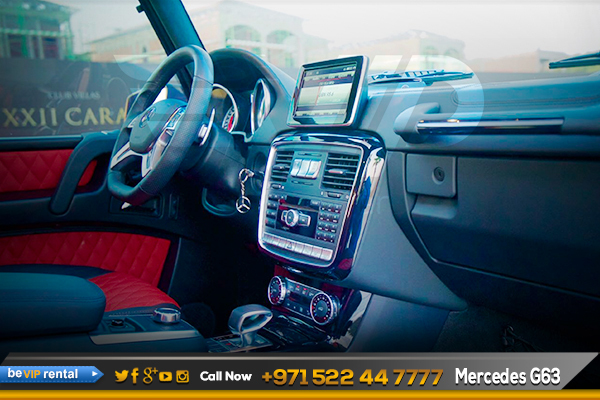 Being at the wheel of a MERCEDES G63AMG is an unforgettable experience, especially for power and luxury car rental lovers. 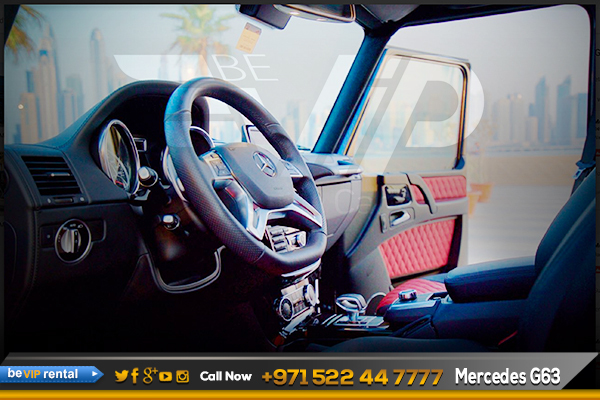 In that case, you can rent the MERCEDES G63AMG at Be VIP Luxury Car Rental in Dubai. Being at the wheel of a MERCEDES G63AMG is an unforgettable experience, especially for power and luxury car rental lovers. In that case, you can hire the MERCEDES G63AMG at Be VIP Luxury Car Hire. 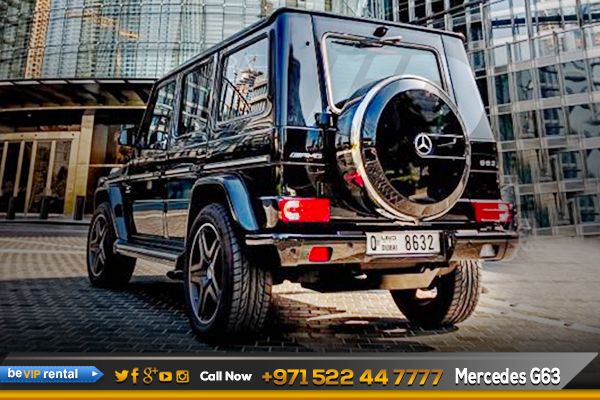 Be VIP rent a car in Dubai is where you can grab the chance to get behind the wheels of the MERCEDES G63. The G63 is a powerful, all-business vehicle that promises to deliver unmatched performance whether on or off the road. 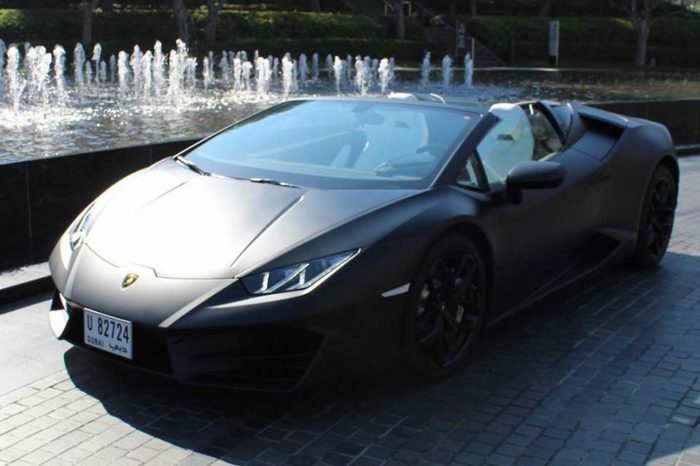 Featuring a timeless and classical design. 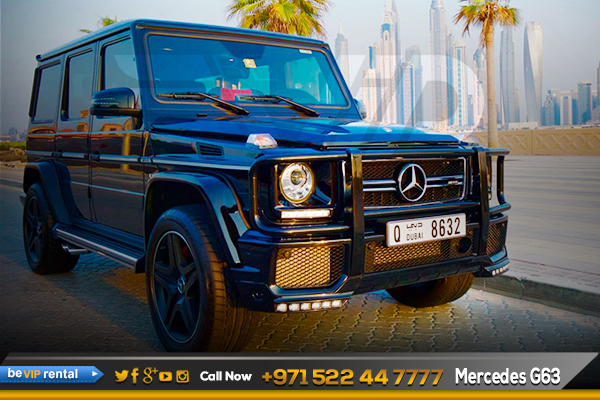 Be VIP Car Rental in Dubai offers you the Mercedes G63 AMG with special packages. Make sure to rent the Mercedes G63 AMG if you are in need of a stimulated drive combining luxury and power. 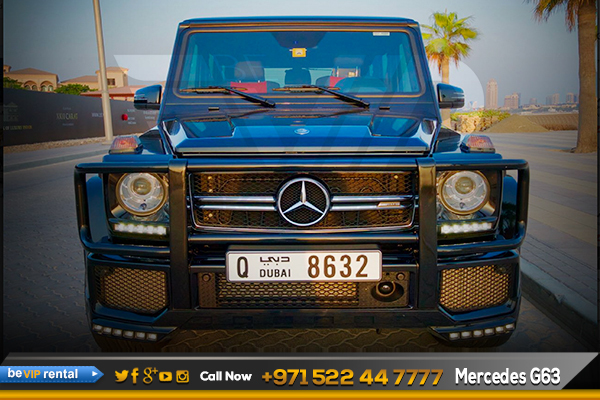 Make your dream come true by driving such an elegance beauty, rent a Mercedes G63 in dubai. Down the road, we expect to see the powerful Mercedes G63 from Mercedes family. 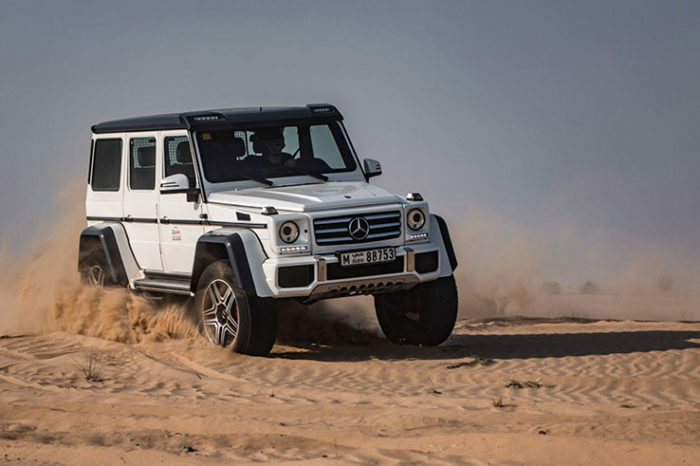 Make it possible for you too, Now we offer Mercedes G63 rental in Dubai including Mercedes G63 Rental in Abu Dhabi and all over UAE. Book Now! 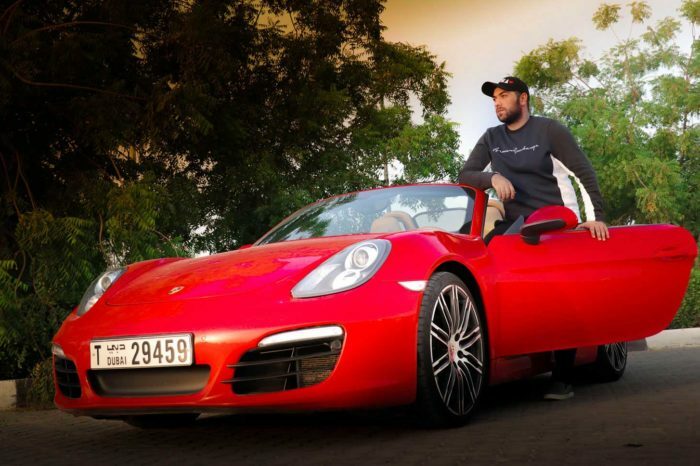 And get an exotic Mercedes G63 rental in Dubai.